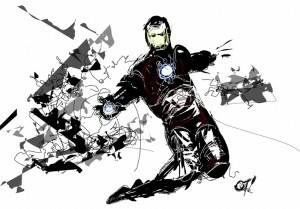 Quick sketch of Iron Man done in Alchemy. Unfortunately when I reached for a tool to see what it did, it had erased half the image. There is no undo in Alchemy. I had to try to fix it and left it at that.